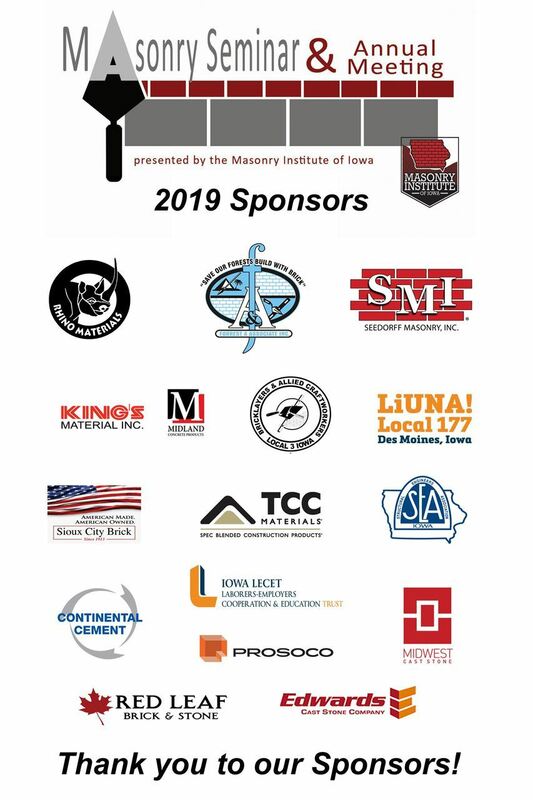 Thank you to everyone who attended our Masonry Seminar on March 13 in Des Moines. A certificate of attendance will be emailed out/uploaded into the AIA system by the end of March. Questions about your CE? Please contact jstephenson@masonryinstituteofiowa.org.